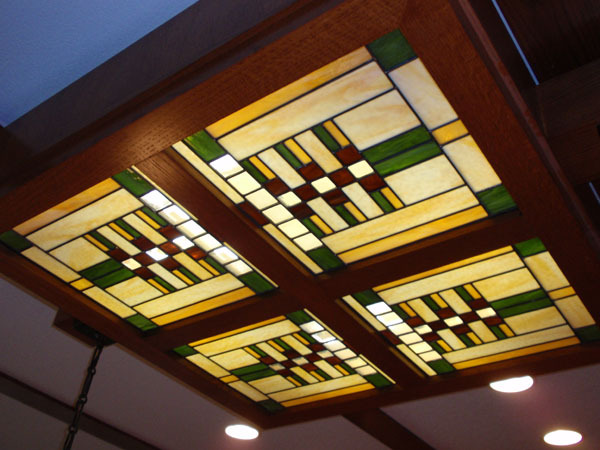 Scottish Stained Glass is proud to feature prairie style designs influenced by the Arts & Crafts Movement. 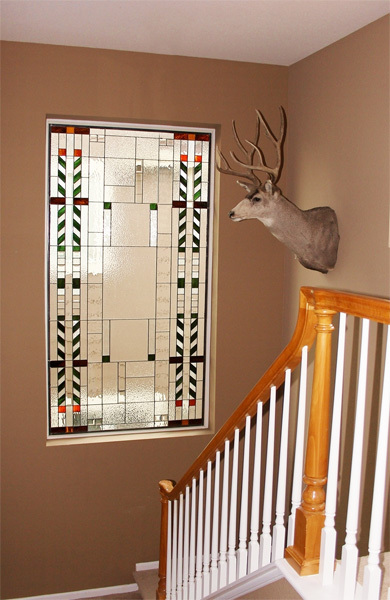 Prairie Stained Glass was a wonderful addition to many homes built 1900’s – 1930’s. 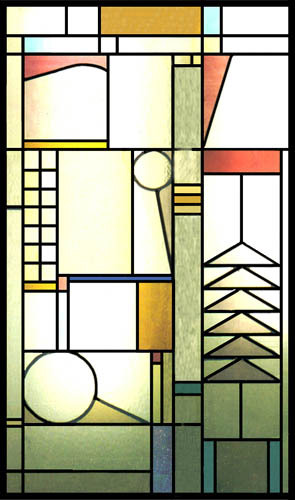 The organic approach to architecture and design can be seen in particular with this stained glass work. 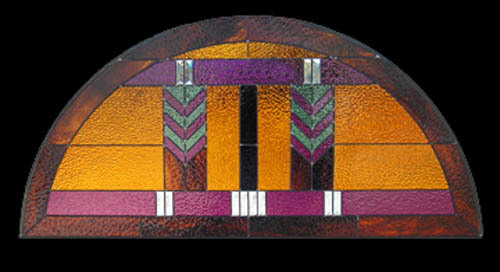 Almost all the stained glass works of the Prairie Style are straight lines and geometric shapes. 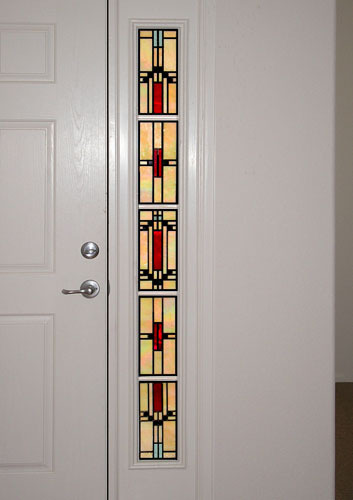 Clients with a taste for contemporary furnishings and liking for the Mission style are most often drawn to this style of stained glass design. 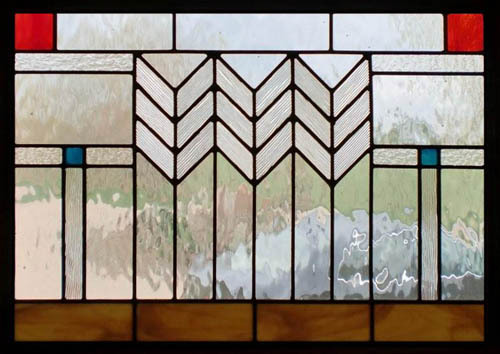 Many of our clients love these types of stained glass window designs although a large number of Prairie Style stained glass designs use clear glass with small splashes of color. 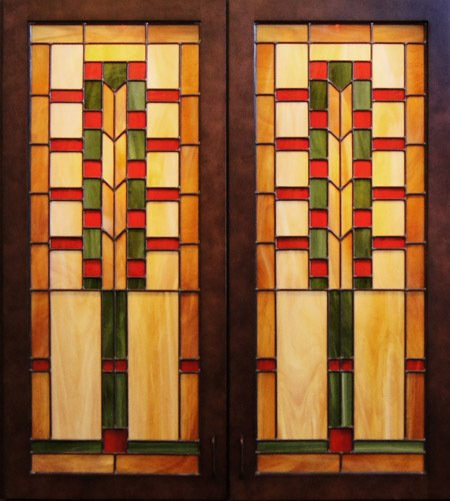 This works for some of our clients but others prefer to use these stained and leaded glass window and door panels to offer some degree of privacy. 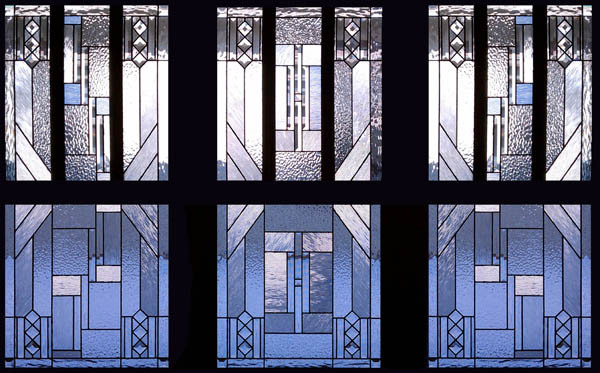 Therefore we offer various textures of glass in order that the interior of the client’s home cannot be seen from the outside. 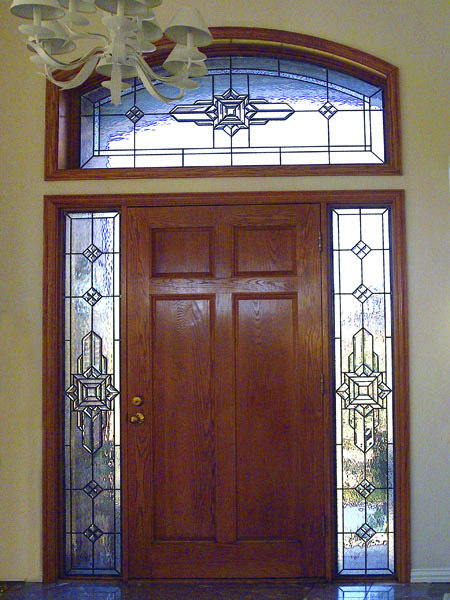 Using our unique CAD system we have designed over 200 different prairie and Prairie Style custom designs and look forward to creating many more in the near future. 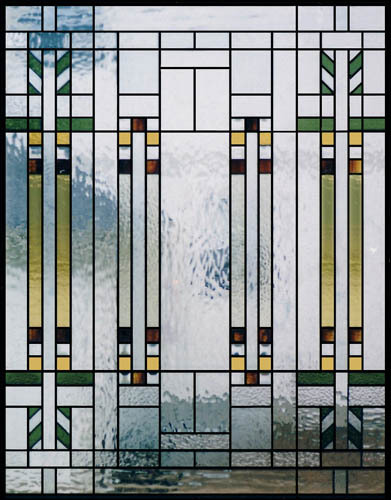 The latest addition to our technology allows us to show you a photograph of your window with a computer rendering of the stained glass shown exactly as it will look before we even start making the glass. 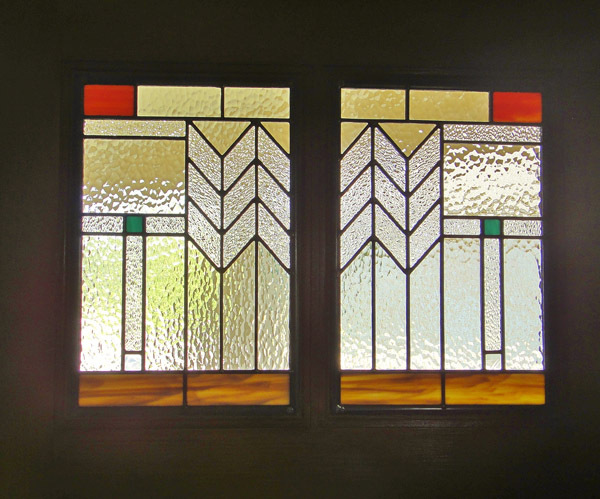 Whether you are looking to restore original windows or create new ones, Scottish Stained Glass has the design expertise and installation experience to make your Prairie stained glass windows the talk of the neighborhood. 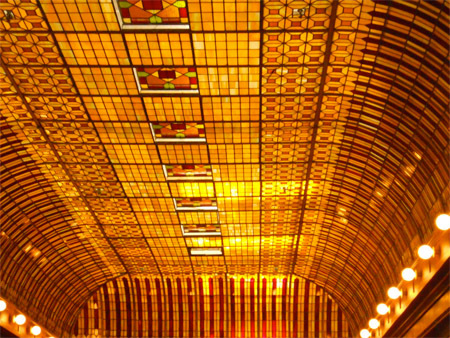 Give us a call or email us today for a FREE design consultation.